Although with a wine-growing history that dates back to the 11th century, Côtes de Francs only received its Appellation Contrôllée in 1976. Production is almost entirely red, with Merlot the most important contributor. 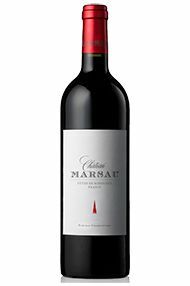 The region itself adjoins the St Emilion satellite appellations of Puisseguin and Lussac, and style of the wine is not dissimilar. The Côtes de Francs is seen as a region of some potential, attractive several luminaries from the major Bordeaux estates, including the Hébrard and Boüard families (Ch. De Francs), Patrick Valette (Ch. La Prade) and the Thienponts (Ch. Puyguéraud). Jean-Marie Chadronniers Ch. Marsau is a fine introduction to the region.